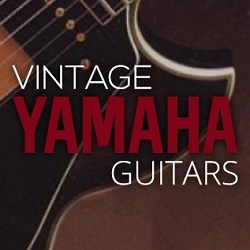 Over the last years the Vintage Guitar Show Veenendaal (twice a year) has become the biggest vintage show in Europe with sellers, and buyers, from all over Europe. Every show also some fine Yamaha vintage guitars turn up fo sale. 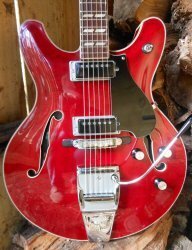 But, as on all shows where the bigger vintage guitar dealers are, don't expect bargains. If you happen to be in the neighbourhood, don't forget to visit on saterday the 22th of September. And a beaten up very early FG180 (green label), sorry no pics. Indeed. That's how it works overhere at shows like this. Asking to much, selling for less. The same AE11 hangs in a store in Amsterdam for 750. If you offer that at the show she's yours. I think a decent price, if it hadn't been for the added mini toggle switch. The SC1200 is offered on "marktplaats" for 650. She's with OHSC and in good shape. 650 would be high but not ridiculous.